For offshore anglers out of the Carolinas, this time of year is wahoo time. And these fish are living up to their end of the bargain in a big way. The fish are biting like mad, including some big ones. Capt. Nick Palombi with Salt Fever Guide Service out of Ocean Isle Beach put his anglers on 95-pounders during back-to-back guide trips last week. He said the potential is there right now to catch trophy wahoo on any day. Trolling is the key, and Palombi said on some days, high-speed trolling is best. And on other days, slow-speed trolling does the trick. It all depends on the conditions and what the fish are reacting to each day, he said. “I like to start off with high-speed trolling. 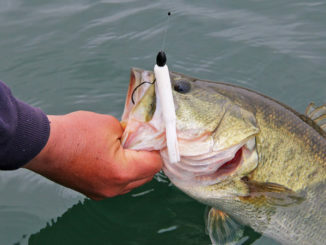 It lets you cover a lot of ground quickly, and let’s you see how the fish are reacting,” he said. When high-speed trolling, Palombi uses lures from Short Rigger Tackle, which are handcrafted in N. Myrtle Beach. He fishes with three to four rods, and the hotspots right now are all around the Blackjack Hole area of the Gulf Stream. “This area is no big secret. It’s well-known and it’s on all the charts. 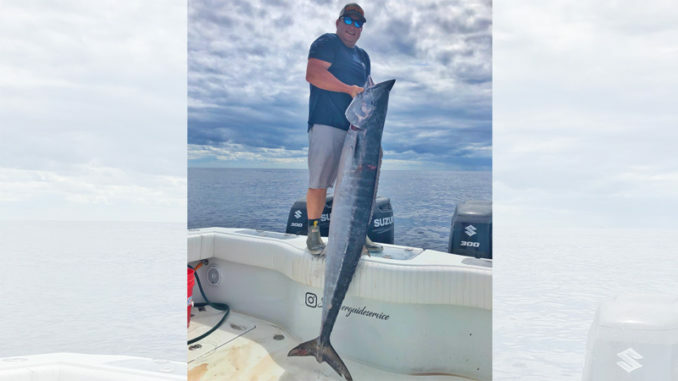 It’s a popular spot for wahoo because it has everything these fish are looking for this time of year,” he said. “But if you’re looking for a new spot, you want to find that deep blue color of water and about a 74-degree water temperature. And any sign of life is good. The ocean is similar to the desert, except it’s wet. There’s vast areas of nothing, and where any sign of life is, more life will gather. 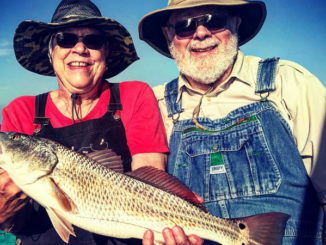 So weedlines, diving birds, dolphins, or baitfish are all indicators of a good place to fish,” he said. When low-speed trolling, he uses ballyhoo for bait, and he puts more rods out. Either way, once an angler hooks up, Palombi keeps on trolling. “I might slow down a bit, but I’m going to keep trolling. That keeps the line tight. Any slack you give one of these fish gives them a chance to shake lose. So I’ll keep trolling while the angler is reeling,” he said. 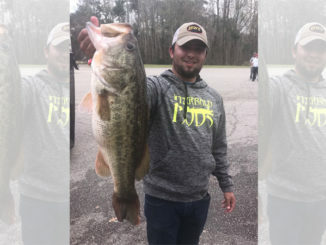 While some anglers reel the other lines in right away, Palombi said he likes to give them a minute or two first. 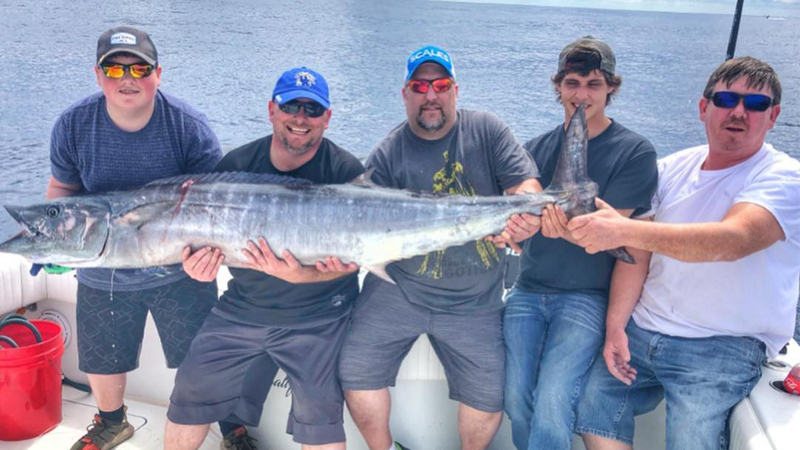 “It’s not uncommon to hook into another wahoo because they travel together. So while the first fish is being fought, I’ll give the other rods a chance to get hooked up. This can be especially effective when the bite is slow. And it can turn a one-fish day into a three-fish day, or a three-fish day into a five-fish day,” he said. When it comes to wahoo fishing, timing is critical, and Palombi said now is the time to go. “The wahoo fishing is as hot as it gets right now, and it should last another few weeks. And then the dolphin bite will heat up. The wahoo bite always tapers off then. So through the end of this month and into the first week or so of May, it’s time to go after the wahoo,” he said. If you’d like to get a piece of this wahoo action, request Capt. Palombi with Salt Fever Guide Service at 910-250-3021.